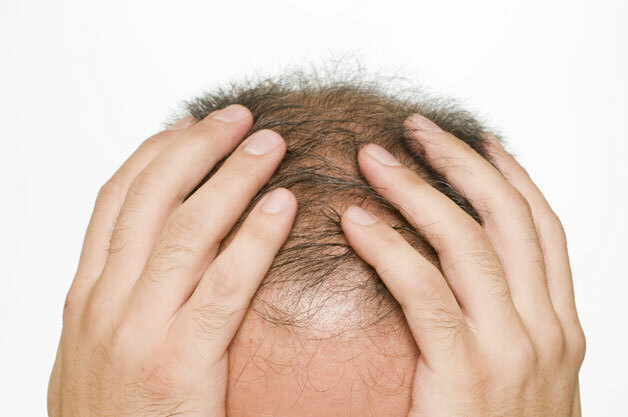 Hair loss and thinning hair occurs in many of us, and statistics show that baldness is on the up. If you are one of 60% of men or 40% of women who suffers from hair fall, then you are probably looking for valid solutions to prevent balding. The question is: Is there anything out there that can stop hair loss? Firstly, we know that there is no cure for male or female pattern baldness. This is a fact, and it doesn't matter what claims a brand or company makes about its product or treatment - the hard truth is that nothing in today's market will cure the pattern of hair fall. However, many sufferers have discovered solutions that have helped them at least prevent hair loss. There are many myths regarding this subject. Here, we look at three myths about practices/treatments that claim to be good for stopping hair loss. We'll also go through three genuine practices/treatments that can help prevent the pattern of shedding. Yes, hair transplants are indeed regarded by many as the most effective solution for hair loss, but the reality is, they aren't as great as many of you might think. While hair surgery can offer a good solution for patients who are completely bald, and who can afford it, many of us are unaware that even a transplant isn't guaranteed to work in the long run. Many patients are required to have surgery at least twice a year, and also have to take drugs in order to help maintain the hair. While it is true that minoxidil can generate hair growth, it should be noted that it generally works on a very small scale. Too many men (and women) start using minoxidil when it's far too late. Minoxidil, like most treatments for hair, should be used during early stages of baldness. This potent liquid will not prevent balding on the kind of scale you would hope for. You may have come across supplements that claim they can block DHT through the theory of potassium channels. There has been no conclusive research to suggest that this theory is valid in any way, shape or form. If you are looking to beat the pattern of hair fall, then we would always recommend that you stick to ingredients with more scientific backing behind them. It's true, the healthier you live, the healthier your hair will be. Getting plenty of exercise and eating high-protein foods and nutrients will only benefit your hair. Studies show that a far higher percentage of people who live healthy lifestyles actually have healthier hair strands. Not all supplements can have a positive effect on your hair, but certain multi-vitamin supplements can benefit the growth of your hair immensely. Products like HR23+ have shown excellent results in preventing the rate of hair fall and promoting healthy hair growth in men and women. Key additives like Biotin, Saw Palmetto, Zinc, Ginkgo Biloba and Grape Seed extract can work potently together to help stop hair loss and prevent thinning hair. Whether you are using your fingers or something like a derma roller, it is indeed true that regular scalp stimulation can help prevent shedding and encourage new hair growth by reactivating hair cells.